Now that the Cleveland Cavaliers — thanks to the unbelievable performance of LeBron James — have brought their city its first championship in 52 years, we can turn our attention to the next crucial event on the jam-packed NBA calendar: the 2016 NBA Draft. For the teams on the low end of the totem pole, this is the opportunity to land a player who can change the direction of the franchise for years to come. For those prospects waiting to hear their names called by commissioner Adam Silver, this is a moment they’ve prepared for and anticipated their entire lives. Of course, as we all know, this is just the start; getting to the league is a great honor, but the real challenge is proving that you deserve to stay there. With the 2016 NBA Draft just a few days away, we’d be lying if we said we knew how this whole thing will play out. Still, that won’t prevent us from giving it our best shot. 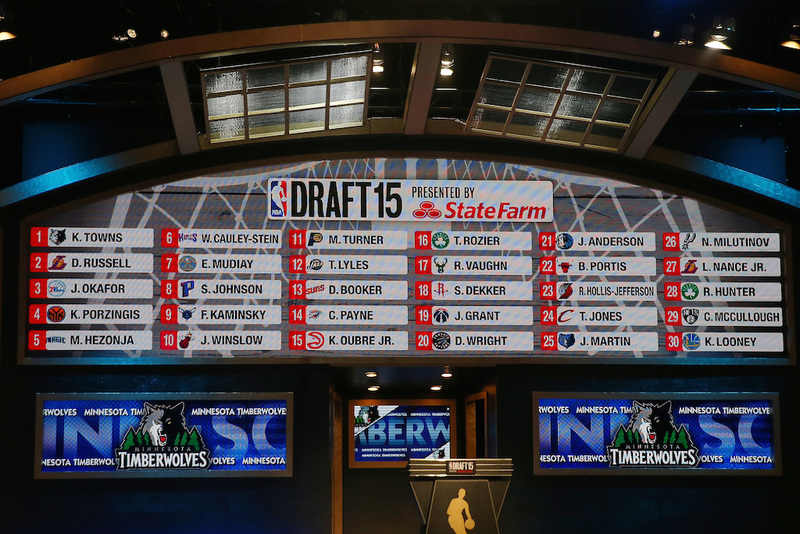 Here’s a look at the final edition of our NBA mock draft. Although the Philadelphia 76ers have had plenty of internal discussions about what to do with the No. 1 overall pick, the general belief is that they will select LSU’s Ben Simmons. Not only do we agree with that, but we think it’s the right call. Out of all the players in this draft, no one has a higher ceiling than Simmons. He’s a 6-foot-10, 240-pound point forward with incredible vision, a superb handle, and the basketball IQ to match his NBA-ready body. While the biggest flaw in his game is that he lacks a jump shot, Simmons has spent much of the pre-draft process working to rectify this problem, and appears to be getting much more comfortable with his stroke. Other than that, however, the rest of Simmons’ body of work (19.2 points, 11.8 rebounds, 4.8 assists, and two steals per game in his lone season at LSU) is impossible to overlook. The guy is nothing short of a generational talent. The Sixers — and the rest of the City of Brotherly Love — need a superstar. They will get their man in Simmons. In a draft consisting of two marquee players, Simmons and Brandon Ingram, the Los Angeles Lakers have the luxury of selecting whichever player doesn’t end up in Philadelphia. With Simmons off the board at No. 1, it looks like Duke’s Ingram will head to Hollywood — not that anyone in Tinseltown should mind. After struggling earlier in his lone season in Durham, N.C., Ingram eventually found his groove, putting up 17.3 points per game to go along with 6.8 rebounds in his lone season at Duke. He shot 44.2% from the field, knocked down 41% of his threes, and was named ACC Freshman of the Year. On top of that, Ingram played his best basketball when the lights were the brightest; something that should only help him as he transitions to the NBA. Aside from the need to get stronger and put on more weight (he only weighs 196 pounds), Ingram has something you just can’t teach: length. At 6-foot-9, he has an unbelievable 7-foot-3 wingspan, and that will make him a nightmare at the next level. The purple and gold will get a special, special player out of Ingram. At No. 3, the Boston Celtics find themselves in a difficult position. As a result, and given his history of wheeling and dealing, Danny Ainge may trade this pick, or at the very least, shop it until the last possible second. Yet, since we don’t incorporate trades into this NBA mock draft, we think the C’s will select Providence’s Kris Dunn — much to the dismay of their fan base. We understand that the thought of the Celtics adding another guard to the roster is enough to make the patrons of the city want to throw a second Boston Tea Party, but that shouldn’t be a knock on Dunn’s skills. The guy is a great point guard (better than anyone the C’s have right now), an excellent perimeter defender, and a two-time Big East Player of the Year who was good enough to earn second-team All-American honors in 2015–16. The initial reaction may be disappointment, but we have a feeling that the Celtics fans will sing a different tune once Dunn takes the floor. Initially we had the Phoenix Suns selecting an international talent you’ve probably never heard of, however, now we see them leaning in a different direction. After trading Markieff Morris at last year’s deadline, the Suns desperately need to fill the void at power forward. That being the case, we see the organization looking to take a forward with incredible upside: Washington’s Marquese Chriss. In his only season with the Huskies, the 6-foot-10 forward averaged 13.8 points and 5.4 rebounds per game while flashing insane athleticism. He is a beast on the fast break, can stretch the floor and knock down the outside shot, and is arguably the most explosive player in the draft. Chriss is still a bit raw, and will need some time to develop his game and get better on the boards. However, if he is able to reach his full potential in the NBA, the Suns will have landed themselves an absolute rock star. Kentucky guard Jamal Murray has the skills and the upside to be a top-three pick. However, in our final mock, he falls to the Minnesota Timberwolves at No. 5. Should this end up happening during the real thing, you won’t hear the Timberwolves complaining. Despite starting slow in his first and only season with the Wildcats, Murray finished his freshman season with averages of 20.0 points, 5.2 rebounds, and 2.2 assists per game. He can knock down the three (possibly the best shooter in the draft), get to the basket, and is a natural scorer. At 6-foot-5, 207 pounds, Murray has excellent size and enough strength to compete at the next level. The T-Wolves have a roster full of young talent, and the addition of Murray would only make them stronger. Statistics courtesy of SR/College Basketball, ESPN.com, NBADraft.net, and DraftExpress.